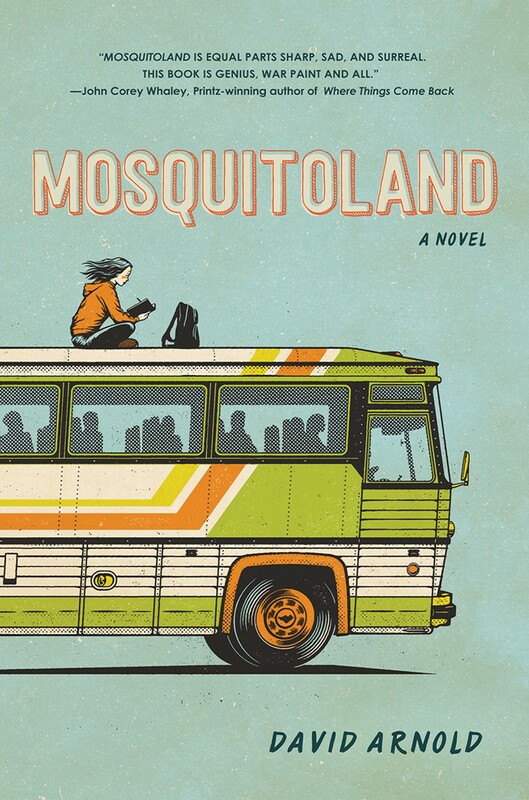 I kind of feel like the back blurb on Mosquitoland doesn’t do it any justice. And I feel like I, also, will not do it justice. ha. But here we go. Mary Iris Malone, aka “Mim”, is on the road to crazy. Like literally. The girl is medicated against “crazy”. But after her parents divorce, her father remarries the waitress at Denny’s and moves Mim away from her home, her life, and most of all, her mother. That’s when the real crazy hits. But after overhearing a conversation she was not meant to hear, one where she learns her mother is sick, Mim doesn’t waste a second before she is packed, stolen money from her step-mom, and on a Greyhound back to her mother. But the straight shot back to Cleveland (where her mother is) hits detour after detour, and Mim finds herself in a myriad of dangerous, insane, and lovely situations that teach her about loyalty, friendship, love, and caring. Mim discovers not only who she is, but who she wants to become. First of all, let me say that Mim’s voice is my absolute favorite. The way she thinks and speaks is exactly “my type” of thing. She’s hilarious, tough, and a weirdo. LOVE. This book addresses some of the harder subjects, and I felt like her voice was a good way to broach some of the more serious subjects without dragging you down too much. Mim has definitely earned her place as one of my top female characters. Second, all the Hobbit and Alice in Wonderland references should be enough to coax other book nerds into loving Mim. ha. I suspect that author David Arnold had the major book nerds like us in mind when he wrote those in. There are some crazy situations in this book. Some times I couldn’t tell it if was all just super random, or super awesome. But I was enjoying myself so much that I decided early on that I didn’t care. Mim alternates between narrating and journal entries. And between the insights she thinks and writes, this book is John Green quality for quoting. haha. Lots of great quotes. The last journal entry and some of the wrap up was both a little too cheesy/cue motivational heartfelt music and then really maddening, and it was a little much for me. I also was in kind of an annoyed mood when I read it, so I can’t tell if it was my mood or the book. ha. Either way, I really enjoyed this book! I loved Mim's journey and the characters that go along for the ride. It's quirky, different, and very heartfelt. An excellent read.